I am Hadassah Agbaps and a Nigerian natural hair blogger. 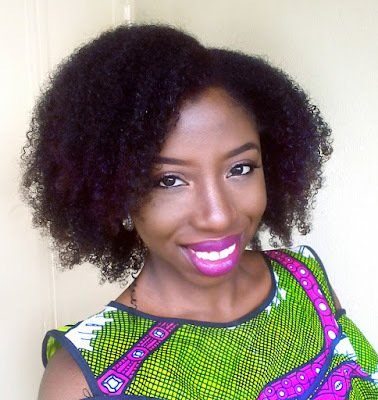 My blog was created to share my experience as a Nigerian woman with natural hair living in Nigeria. I'll share what products and methods helped make caring for my type 4b/c, porous, fine textured natural hair very simple. I'm also a foodie and really into how every bite I take benefits me nutritionally. I'd rather have yoghurt than diet soda; fruit smoothie instead of icecream; African salad a.k.a. Abacha instead of chips. I like cooking as long as cooking time is less than 30mins!!!! Recipes I love are on the "Food Indulgence" page. On skincare, I have sensitive, oily acne prone skin and I'll share my favorite products and regimen to keep my skin clear. My hope for my blog is to inspire women to love their natural hair and be the best they could possibly be as sisters, daughters, mothers, wives and career women!